TAFE SA was not what I expected! I am currently 4 years and 9 months into a university degree. I have 2.3 months to go and I’m DONE. I can see the light (and the celebratory champagne) at the end of the tunnel. While it will be a huge achievement to finally be able to say “I have a Bachelor of Business”, it’s been a loooong time coming, and balancing study with a full-time job has at times been a bit overwhelming. 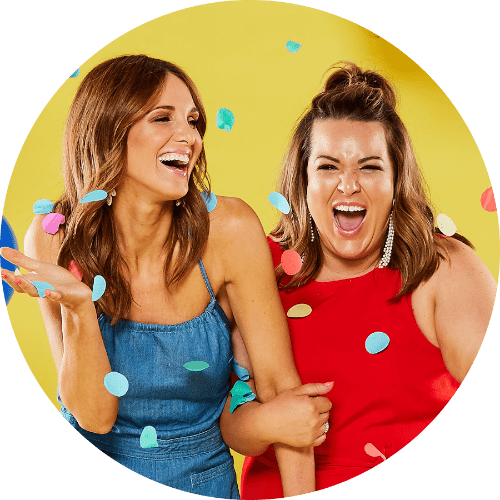 So when the idea was first floated that the Adelady team was each going to undertake a TAFE course, I have to admit — my heart sank a little bit. The idea of more study on top of my current workload was a little bit too much for me to wrap my head around. 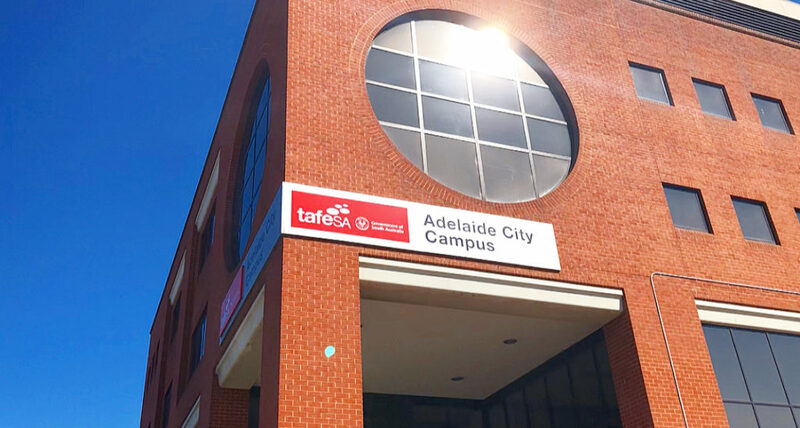 ENTER… the TAFE SA short courses. 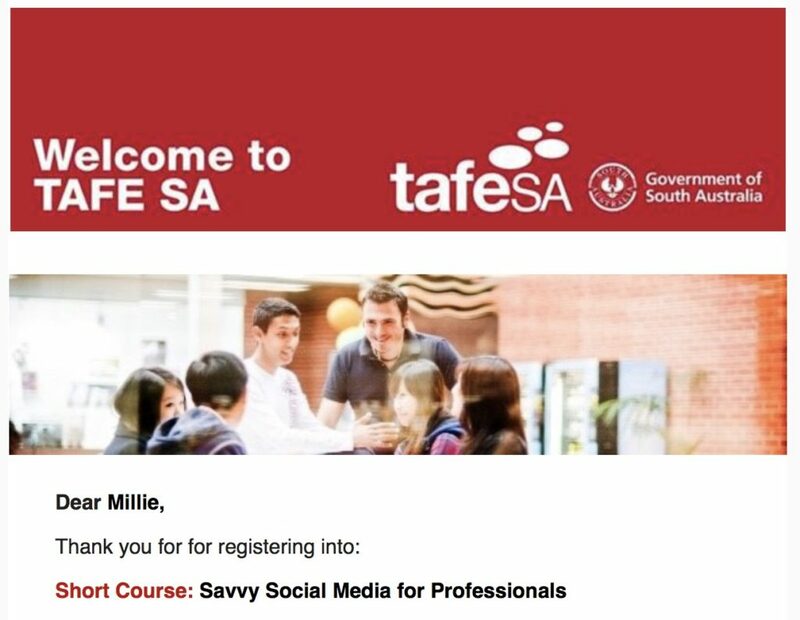 My spirits were lifted almost immediately, when I found out that TAFE SA offers courses that are as short as 2 hours, in areas that I’m actually really passionate about and that I can see myself applying to my daily grind. The short courses on offer are so varied and sound so interesting that I almost found myself selecting the Cocktails for Fun or Cheese Making 101 course just out of curiosity. In the end, and after some internal arguments between Hayley, Lauren and I as we fought for who would get the “best” course (hint — there is no “best” course, they’re all pretty darn cool), it was finally settled that I would be undertaking the Savvy Social Media course. A perfect fit, right? AND — it would only take One. Single. Day. It was THE BEST! 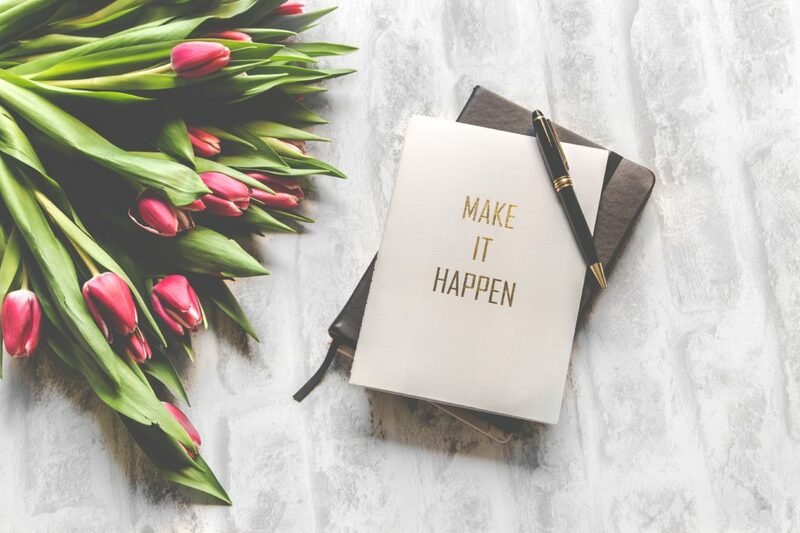 There I was, sitting in a room with 7 like-minded women who wanted to improve their skills in social media, and who were excited to share their tips and tricks for different things that have worked for them in the past. It might have only been 7.5hrs, but I left the course with a full list of things to do. The short course listing was a revelation. 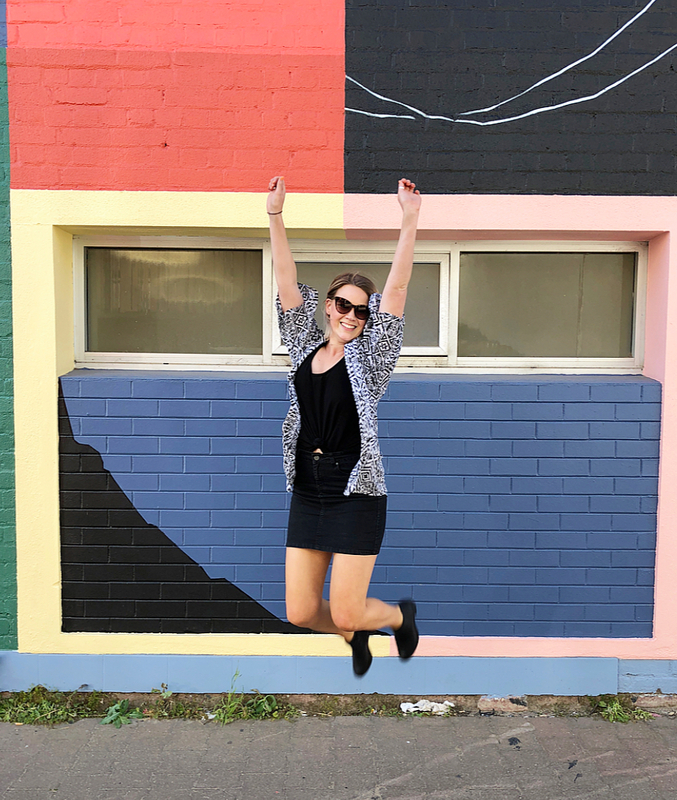 If you have an interest or a curiosity, it’s comforting to know that you don’t have to commit to a long-winded syllabus (and a giant HECS debt) to explore it — and you come out the other side with a brand new skill. I’m not saying that given my time again I wouldn’t do my uni course, but it’s really handy to know that if I ever have a sudden whim to learn an Introduction to Jewellery Making or some Back to Basics: Day and Night Make-up Looks, TAFE has got me covered. (Or, you know … something a bit more relevant. We’ll see what I can get across the line with my bosses). It was a great short course, wasn’t it? What a fantastic lecturer and such an inspiring group of business women. I left the classroom armed with useful information and ideas to put into practice to grow my own business and to assist others to grow their business’s social media presence too.